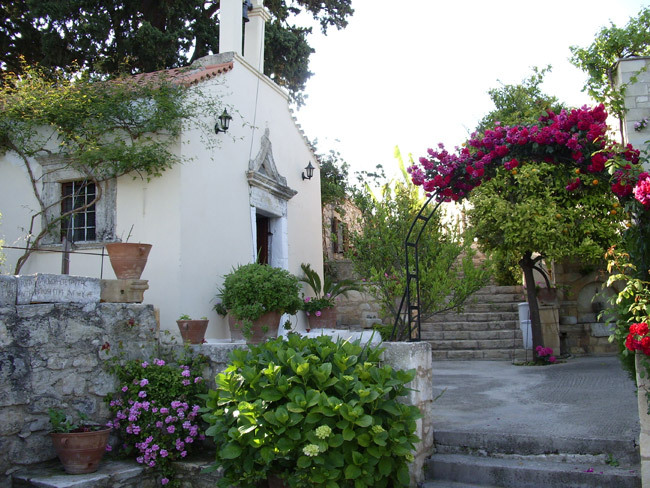 In a distance of 27 kilometers from Rethimno northwest of Psiloritis and at an altitude of 300 meters there is the picturesque village of Margarites, famous for the making of handmade creations which has been developed by its inhabitants since prehistoric times. 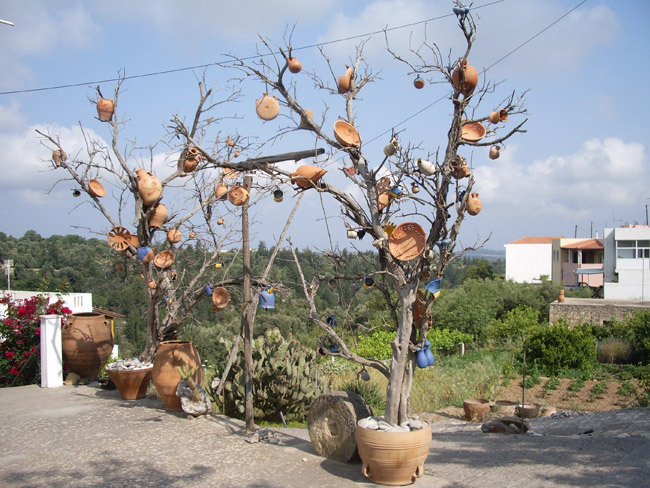 Following their ancestors’ traces as regards both the techniques and the aesthetic traditions the today’s inhabitants of Margarites convey their creativity and artistic sensitivity by creating popular art objects of the highest quality, keeping its various forms, like pottery, alive and with precision. 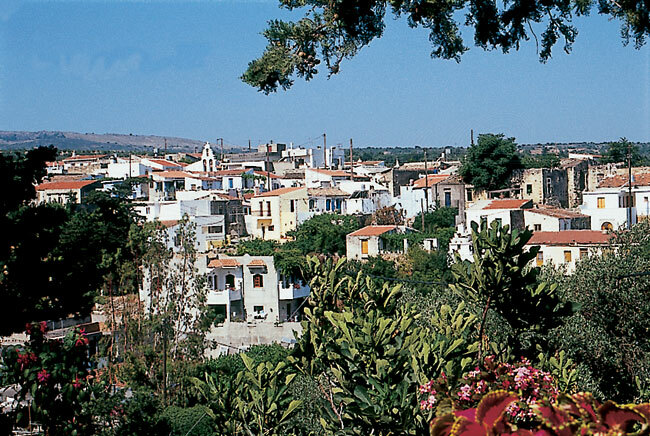 As a result, our village is internationally recognized as a centre of architectural pottery. The geographical position of the village brings you close to important archaeological and historical places such as Ancient Eleftherna, the Abbey of Arkadi, the Cave of Melidoni, a post-Minoan tomb, the Ravine which is protected by the European Union and crosses the west side of the village, as well as the 23 magnificent churches, many of which are signs of the years of Byzantium. You can visit the Byzantine Churches like the church of the Saviour’s Metamorphosis which was part of a monastery that there was in the area before it was ruined, St Dimitrios west of the village (it is a particularly elegant church which has got an altar made of stone), and the magnificent church of St Ioannis which has got frescos since 1383, sign of the Byzantine churches. If you go for a walk in Margarites you can see decorated doors and walls which date from the period of the Venetian occupation. 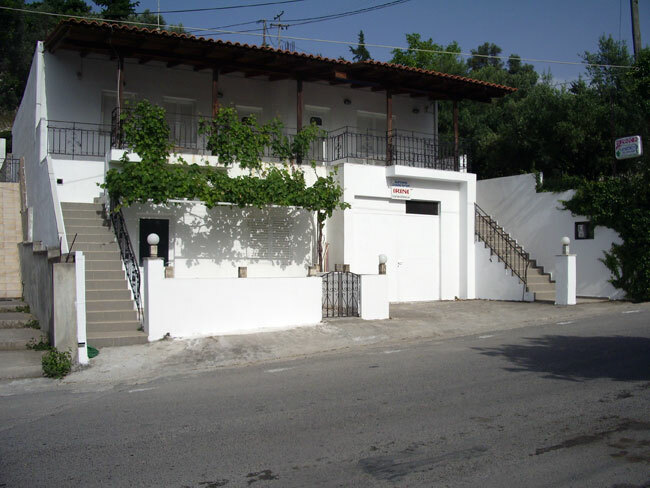 These signs, in combination with the narrow streets , give an exact picture of the traditional Cretan Architecture. 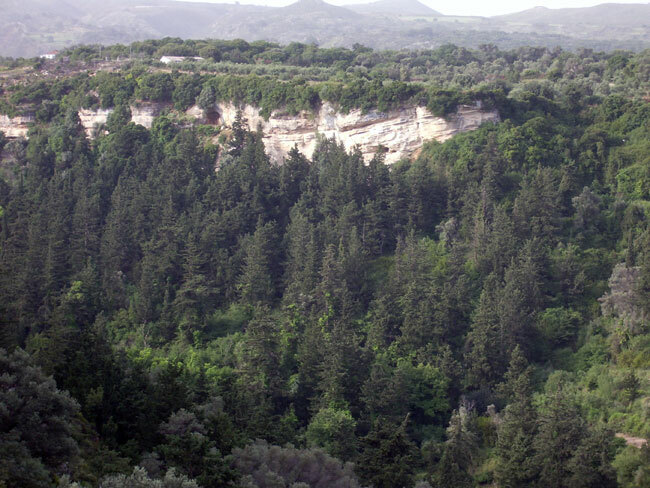 The Ravine, with its wonderful view, captivates, fascinates and rests its visitors. The inhabitants’ civilizing activity with various events during the whole year, in combination with the historical and folkloric meaning that the village has, is the reason why our place is justifiably claimed to be one of the most beautiful and much talked about villages of Crete. 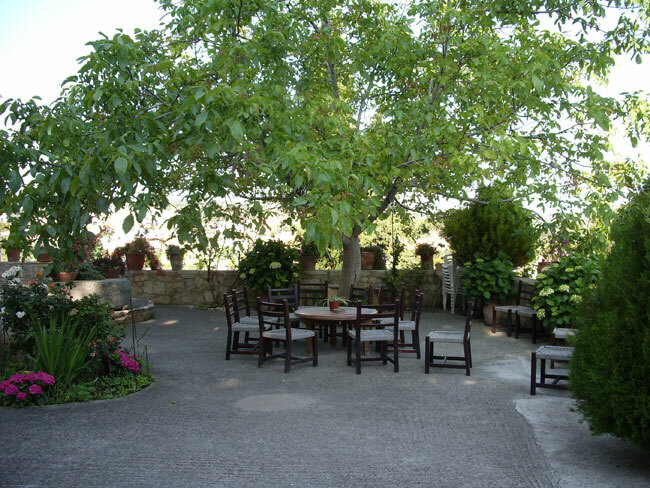 Try a visit to Margarites and enjoy all the above with us. © 2008 IRINI apartments. All rights reserved.